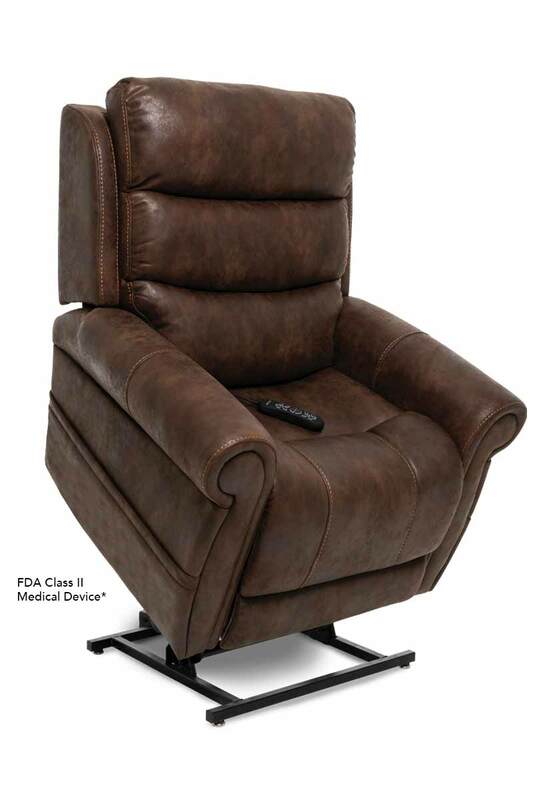 There is no greater joy than reading a good book in a comfortable, cozy recliner. The Tranquil Collection by VivaLift!Â® Power Recliners combines quiet comfort with gorgeous fabrics, for a rich and upscale look. Get the support you need for your neck, shoulders and lower back as you dive into your favorite story. The Tranquil Collection exudes style and class with contrast stitching. Itâs the perfect addition to your home. For People Taller Than: 5' 4"
Space Needed for Full Recline: 16"